Desta Boke was working as a leader in evangelical churches in Ethiopia. After a chance meeting with a Seventh-day Adventist gospel worker, Desta learned about the Sabbath. He searched the scriptures for himself, having found that the leaders at his old church could not give him answers from the Bible. 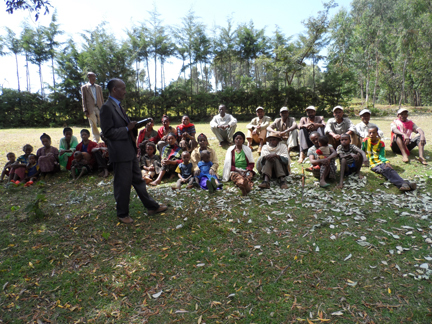 Eventually, Desta embraced the Seventh-day Adventist message and was baptized. Today, Desta is an evangelist and brought in almost 40 new souls into the church within one year, with many others taking baptismal classes. Many of these people came from his former church, and as a result, Desta and his work has been reviled and persecuted. Having come from a church that meets in a large building, it has been challenging for the new Seventh-day Adventist members to meet under a big tree on Sabbath. Desta was a paid worker at the evangelical church, but now works for very little or no wages, despite the fact that his prior church has promised to double his former pay, if he returned. 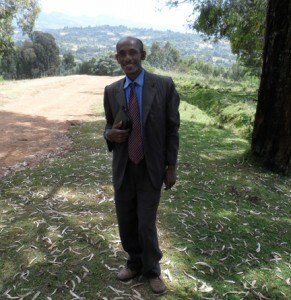 This 13th Sabbath, please remember Desta Boke, his ministry, and the people of Ethiopia in your prayers.